10.3M Californians to "Drop, Cover, Hold On" During "Great ShakeOut"
If your cubicle mate gets up precisely 10:16 a.m. on Thursday and then suddenly drops to the ground and rolls under the table, it's probably a safe bet he or she is actually OK.
That's because this scene was supposed to be recreated around the state during the Great California Shake Out - just one day before the 25th anniversary of the Loma Prieta earthquake in 1989. 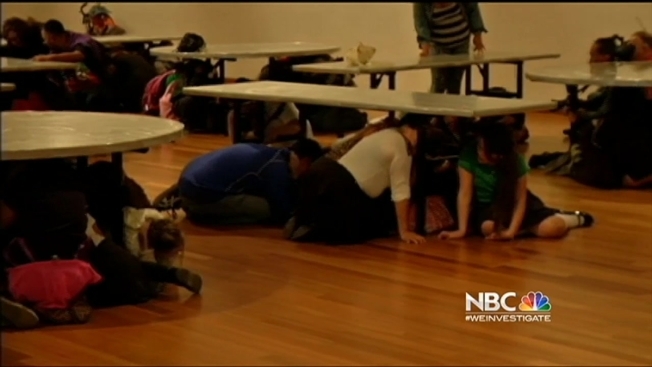 The drill did occur at the Tech Museum in San Jose, where students huddled under tables, crouching down on their knees in preparation for the Big One. "I'm going to show my mom and dad how to do it," Diana Sanchez said afterward. All the reminders about earthquake safety are prominent on many Californians' minds. 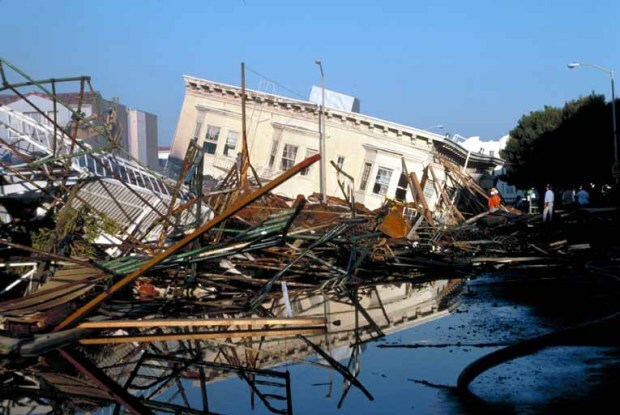 It was on Oct. 17, 1989 when a 6.9-magnitude earthquake struck near Santa Cruz, and ended up killing 63 people, injuring about 3,000 and causing a section of the Nimitz Freeway in Oakland to collapse during the middle of a World Series baseball game between the San Francisco Giants and the Oakland A's. 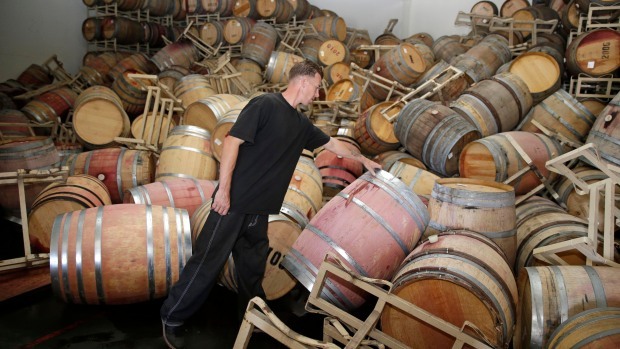 Officials estimate there was $10 billion in damage during that quake. The drills also come nearly two months after the 6.0-magnitude Napa quake on Aug. 24 - the largest Northern California earthquake since Loma Prieta. One person died as a result of the earthquake, 200 suffered minor to moderate injuries, and hundreds of buildings suffered some type of damage, totalling an estimated $300 million. And of course, in Southern California, Los Angelenos remember the 1994 Northridge earthquake that killed 60 people and injured more than 7,000. These statewide ShakeOut drills began in California in 2008, and as of Thursday morning, 10.3 million people had registered on the Shakeout.org website to take part in the "Drop! Cover! Hold On!" drills - by far the state with the largest number of participants. Last year, 9.6 million people participated statewide. But earthquakes don't just happen in California. Thursday is also the national Great ShakeOut Day. According to the website, nearly 26 million people have registered to participate in earthquake drills. Despite the damage that earthquakes can wreak, California still does not have a fully implemented early earthquake warning system to warn the public that a quake is coming. At a hearing in San Francisco on Wednesday, convened by state Sen. Alex Padilla (D-Los Angeles), leaders discussed how to come up with the $80 million necessary to implement such a system that Mexico and Japan already have. While California scientists have developed much of the technology, including those at the University of California at Berkeley, finding money to pay for the statewide system that could give up to 60 seconds of warning has not yet been identified.